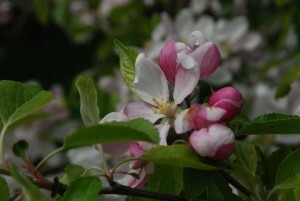 The weather’s picked up a little bit and there’s some blossom to see. Huge range of ciders and perries to sample from yesterday’s cider and perry trials so come and warm up in the hall. Lunches available at the Putley Village Hall. Lots of things going on. Come and see us over the weekend.